Regain energy, joi de vie! WorkCover & insurance cases standard charges. Here you will find explanations of psychology, including bulk billed treatment (paid 100% by Medicare), CBT (cognitive behaviour therapy), relationship counselling, and hypnosis explained plus links to many free and paid resources. Depression and Anxiety treatments (CBT and other cognitive restructing methods). Phobias (hypnotherapy for exagerated fears, e.g. of flying, spiders, heights, social events). Workcover counselling including treatment for depression and anxiety. Also MVA and criminal injury treatment. Written reports for Workcover and also for use in courts of law, e.g. family and criminal courts. Online consultations by email and phone/skype are available. Low income persons with serious problems (e.g. depression/anxiety) must ask about Bulk Billing - (free) - consultations for qualified clients. 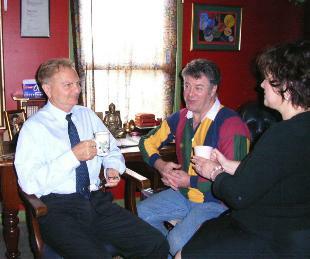 Principal, Dr. Vic Barnes is an Adelaide psychologist whose approach is eclectic, natural and holistic. By all means call me for a brief chat. If necessary leave a message (repeat your phone number slowly twice) and I'll call you back. Ph. (08)8339 5465. Dr Vic consults in Psychology and Hypnotherapy at Seaton(Western suburb of Adelaide)and for those in the Adelaide Hills at Crafers West. Depression, CBT and hypnosis explained, Changing your Lifestyle, Old age. THE WHY WHEN AND HOW OF CHOOSING THEM AND WHAT TO EXPECT. Consulting at: Seaton, and Crafers West. Home visits can be arranged for Adelaide Hills, Southern and Western suburbs. Also online. Information & Appointments Ph.+61(08)8339 5465, or 0414393616. 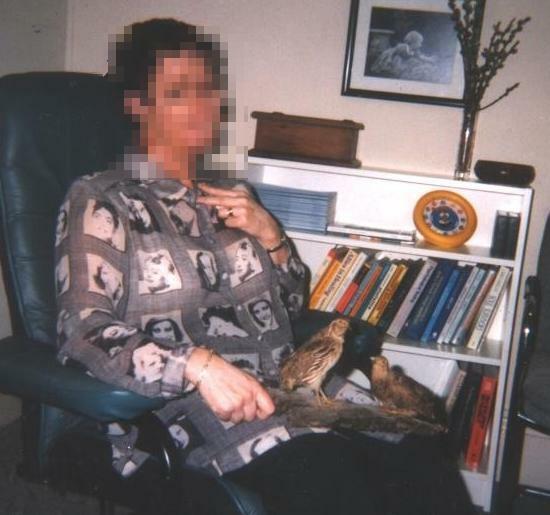 Client in advanced desensitisation therapy utilizing hypnosis, for bird phobia.